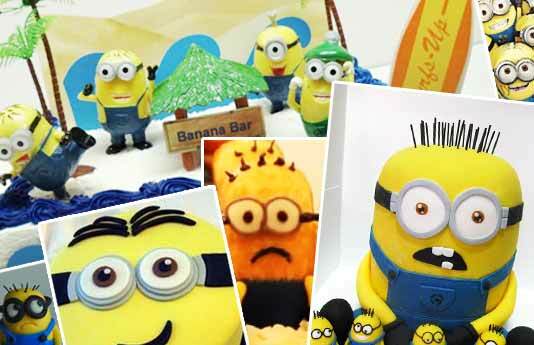 Minions from Despicable Me and Minion Rush seems to be the latest love for the kids and they have made their way to birthday cakes requests. We found some pretty awesome ones. If you are into baking and making, we have included a examples of how to make one yourself. They are bound to make a kid’s day. More 3D cakes! Love the happy expressions of these ones by Sensational Cakes. The tree house stands tall and inviting. Cake Funtasie makes 3D minion cakes and cupcakes with little minions sitting all over. Cute! It can be lots of fun making making cakes yourself. or with the kids. Using Toppers Get the cake toppers or figurines and just put them on any cakes. Amazon have a variety of Minion Toppers available. Angry Bird Cakes! Bake the kids’ birthday cakes, yourself Kids birthday party places in Singapore Saturday Super Chef – Cooking Classes for Kids Birthday Cakes we love How to Plan a Kid’s Birthday Party Pretty Princess Cakes Easy things to do with the kids – Baking Muffins! I think it's really cool that you've got some instructions on here for making your own. This is actually something I might try. I would never try to figure it out on my own — I'm more into just putting on the plain frosting and just putting a name on it. But with the instructions, even people like me can follow them and make an eye-catching cake.